Grace lived out in community! While learning from God on these truths we discovered that God speaks – not just in the Bible, not just from our spiritual leaders, not simply from time to time in our personal lives – but He continually speaks into our lives attempting to deposit grace and strike up a dialogue with you. I imagine that the cool of the day in the Garden was not only the highlight of Adam & Eve’s day, but it was the great anticipation and joy of God Himself. What did Jesus say to His disciples before communing over the passover meal with them? God did not create children with whom He could not commune and delight in knowing. With all this framework in place, I began to teach tonight on healing because we’ve covered so much ground and learned so much, but have applied so little. We are experiencing a glut! This topic is not only timely for several within our fold, but it is an awesome opportunity to walk out much of what we have been taught. The first part of this “walking out” our knowledge OF Him, is to convert that academic knowledge “about” Him into Knowing Him. The first step in knowing Him is revering Him! Tonight as we read the passages listed above we discovered both some broad stokes and some minute details of things which typified the common experience of receiving healing in Jesus’ ministry. As such you can DO nothing to obtain it. As such nothing you have DONE can disqualify you from it. God IS touched with the feelings of our infirmities. God is moved with compassion, meaning He deeply feels for us and yearns to have pity on us. Healing was not only available, but was given to ALL who came to Christ. We mentioned that the only recorded examples of people walking away from Christ still sick, were those He came to – NOT those who came to Him. In those examples the only difference according to scripture was trust. Those who came to Jesus did so BECAUSE they believed or because they were diligent enough to seek Him out, in order to discover IF He was willing -to which Jesus ALWAYS replied “I am willing”. Those to whom Jesus came exhibited little to no faith. The word ‘unbelief’ here means, lack of acknowledgment of Christ; a want of confidence in Christ’s power. In general, a want of trust in the God of promise. We have no biblical record of the common phenomenon today, where people simply don’t know if He is willing to heal. In Jesus’ ministry, those who wondered at His willingness – asked Him and in EVERY CASE Jesus ALWAYS said, “I am willing”! This should be enough for any believer for if God never changes He is still willing. Those lives we have a close-up of in Jesus’ ministry who were healed all seemed to worship Him. Several seemingly recognized Him as Messiah and God. They held Him in reverence. They saw a God who was easily moved to compassion with the feelings of their infirmities. They submitted to and acknowledged His authority and power. They recognized healing as a mercy. Faith is MORE than convincing yourself that some is true -it is being FULLY CONVINCED DUE TO PERSONALLY HEARING HIS VOICE! 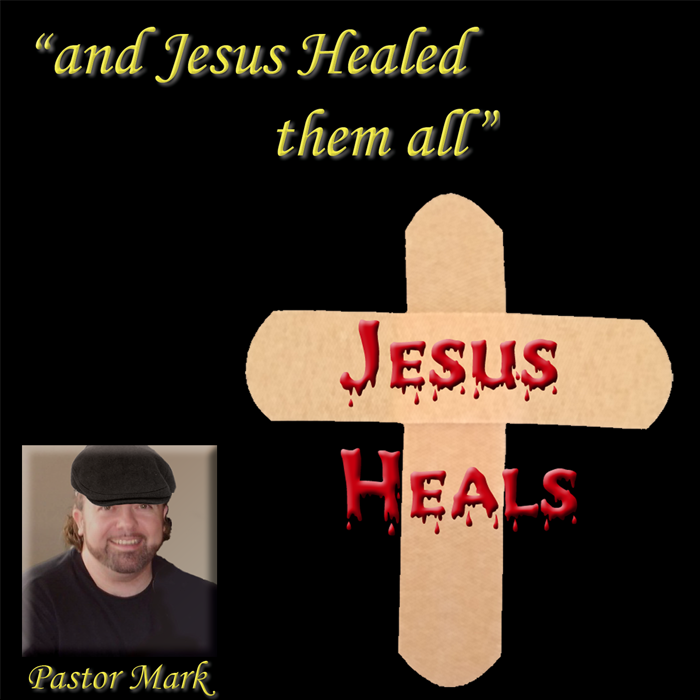 Just knowing that historically Jesus NEVER denied healing to anyone is not enough! You MUST go to Him…hear HIM speak His words,“I am willing be made whole”. HE is the author and maturer of our faith in Him (Heb. 12:2). To obtain faith one does not rely upon His words to others, but His words to them. Jesus will not deny you, but you must come to Him. Above all – do not treat this as a list of “steps for healing”. To reduce faith to a method is to rob faith of its very essence. Faith IS relational trust in a person you know. It is relational at its core – THAT is why genuine reliance upon Jesus cannot be reduced to a method. ALL who would be healed, MUST come to Him. All who Came to Him were healed! As to my home, I have been married since 1995 to my wonderful wife Terissa Woodson who is my best friend, greatest personal support and most valued critic. "If God speaks to us at all other than through such official channels as the Bible and the church, then I think that He speaks to us largely through what happens to us...if we keep our hearts open as well as our ears, if we listen with patience and hope, if we remember at all deeply and honestly, then I think we come to recognize beyond all doubt, that, however faintly we may hear Him, He is indeed speaking to us, and that, however little we may understand of it, His word to each of us is both recoverable and precious beyond telling." As I said, as of 2009 I’ve been a Pastor for nearly 20 years. Earlier in 2009 the Lord revealed to me that the way we had structured our church was not in keeping with the New Testament. This was a shock to me and it is was a revelation that did not come all at once but over the course of a few weeks. We were a traditional single pastor led congregation. It was a top-bottom model of ministry which is in part biblical, but not in the form of a monarchy. The needed change did not come into focus until about 9 very intense months of study and discussions with those who were leaders in our church at the time. We believe the Bible teaches co-leadership with equal authority in each local assembly and though we currently only have one Pastor/Elder, it is our desire that God, in His faithfulness and timing, may bring us more as we grow in maturity and even in numbers. Having multiple shepherds with God's heart and equal authority protects both Shepherds and sheep. Equal accountability keep authority and doctrine in check. Multiple shepherds also provides teaching with various styles and giftings with leadership skills which are both different and complementary. Well that is about all there is of interest to tell you about me. I hope our ministry here is a blessing to you and your family. I also hope that it is only a supplement to a local church where you are committed to other believers in a community of grace.